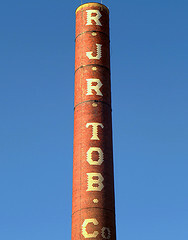 R.J. Reynolds Tobacco Co., the nation’s No. 2 cigarette maker, has vowed to fight a jury verdict of $23.6 billion in punitive damages in a lawsuit filed by the widow of a longtime smoker who died of lung cancer. This case is just one of thousands filed in Florida after the state Supreme Court in 2006 threw out a $145 billion class action verdict. That ruling also noted that smokers and their families need only prove addiction and that smoking caused their illnesses or deaths. Last year, Florida’s highest court re-approved that decision, making it easier for sick smokers or their survivors to pursue lawsuits against tobacco companies without having to prove to the court that Big Tobacco knowingly sold hazardous products and hid the dangers of cigarette smoking. The damages awarded to the widow after a four-week trial came in addition to $16.8 million in compensatory damages awarded Thursday. The widow sued Reynolds in 2008 on behalf of her late husband, who died in 1996. The verdict came the same week that Reynolds American Inc., which owns R.J. Reynolds Tobacco Company, announced it was purchasing Lorillard Tobacco Co. Lorillard is the country’s No. 3 cigarette maker, and Reynolds purchased them in a $25 billion deal. The deal is expected to close in the first half of 2015. In June, the U.S. Supreme Court denied cigarette manufacturers’ appeals of more than $70 million in court judgments to Florida smokers. Reynolds, Philip Morris USA Inc. and Lorillard Tobacco Co. was seeking to have cases reviewed in which smokers won large damage awards without having to prove that the companies sold a defective and dangerous product or hid the risks of smoking. Last year the Supreme Court refused to hear another of the companies’ appeals after they requested the court to consider overturning a $2.5 million Tampa jury verdict in the death of a smoker. In addition to this lawsuit, other Florida juries have hit tobacco companies with tens of millions of dollars in punitive damages in lawsuits arising from the original class action lawsuit. A Fort Lauderdale jury awarded $37.5 million, including $22.5 million in punitive damages against Reynolds in August to the family of a smoker who died at age 38 of lung cancer in 1995. Then in September, the 3rd District Court of Appeals awarded $25 million in punitive damages and $10 million in compensatory damages against Lorillard to a woman whose husband died in 1996 of lung cancer. Reynolds has already publicly announced its plan to fight the $23.6 billion award in punitive damages, calling it “grossly excessive and impermissible under state and constitutional law.” The U.S. Supreme Court has ruled in the past that when punitive damages are “grossly excessive,” they violate the constitutional guarantee of due process. A Florida Injury Lawyer at Whittel & Melton can help you if you think you may have a valid personal injury or wrongful death case. For a free initial consultation, please call us today at 866-608-5529 or contact us online.